Patancheru Hyderabad. Near Mumbai Highway. How Far is CK Golden Crown? 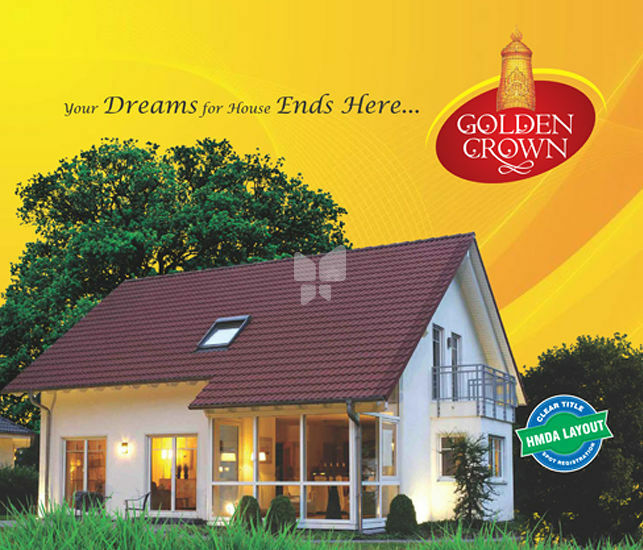 Our vision is to benefit the customer by providing pollution free layout environment and ensuring high returns on their Investments with clear title HMDA Plots in Golden Crown Venture. Sy. No. 319, 320, 321 of Nandigama Village, Patancheru is well in the City with Peaceful Atmosphere Resemblers the Global Village. This is Situated Nexto to ORR and nearer to Mumbai Highway. Ananda Nilayam Chaitanya Kiran Housing Pvt. Ltd. is young in Real Estate Field & established with the Divine Blessings of Dutta Avadhuta Bhagavan Sri Sri Sri Rama Duta Swamy. The Promoters T.S.Sayi Babu & Dasari Kiran Kumar are rich experienced in the field of Real Estate for over a period of two decades. They are experienced and are capable of giving the best to the customers in terms of product, quality, price & service. We belive in delivering quality projects with good time bound & enrich them with all amenities which our highly valuable customers expect from us.